I took prepared shortbread dough, but you can do it by your own. Roll cooled dough, fill molds for muffins or cakes (grease metal ones with oil), pierce with fork and bake in oven till golden color. 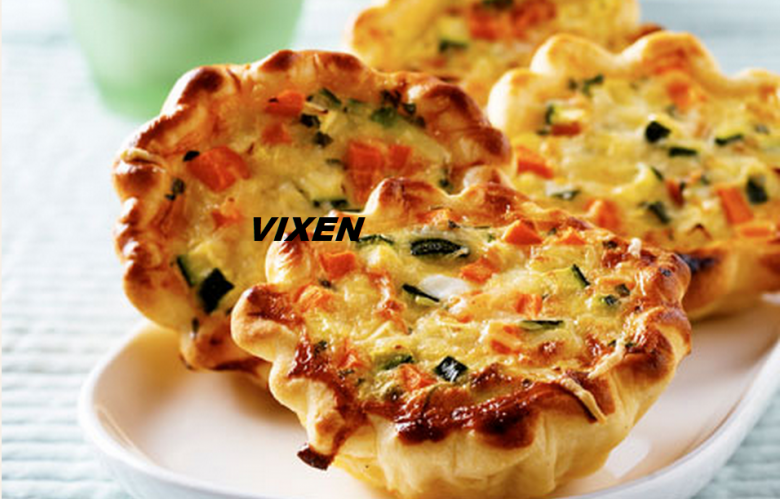 Top of recipe "Small vegetable pies-quiches"